PLEASE SEE POST #2 FOR INFORMATION ON EFORMS! In this write-up, I will explain what a Title II firearm is, how to acquire one, explain the applicable federal and state laws, and debunk some common NFA myths. What is a Title II firearm? The short answer is, any machine gun (MG), short barreled rifle (SBR), short barreled shotgun (SBS), silencer, destructive device (DD) or “any other weapon” (AOW). Machine gun: The term "machine gun" means any weapon which shoots, is designed to shoot, or can be readily restored to shoot, automatically more than one shot, without manual reloading, by a single function of the trigger. The term shall also include the frame or receiver of any such weapon, any part designed and intended solely and exclusively, or combination of parts designed and intended, for use in converting a weapon into a machinegun, and any combination of parts from which a machinegun can be assembled if such parts are in the possession or under the control of a person. Short barreled rifle: Any firearm with a buttstock and a barrel length under 16" long or an overall length under 26". The overall length is measured with any folding or collapsing stocks in the extended position. The barrel length is the distance from the breach face to the end of the muzzle. The category also includes firearms which came from the factory with a buttstock that was later removed by a third party. Short barreled shotgun: Any shotgun with a smooth bore, and a barrel length of less than 18” or overall length of less than 26”. The barrel length is the distance from the breach face to the end of the muzzle. The category also includes firearms which came from the factory with a buttstock that was later removed by a third party. Silencer: Any portable device designed to muffle or disguise the report of a portable firearm. This category does not include non-portable devices, such as sound traps used by gunsmiths in their shops which are large and usually bolted to the floor. Destructive Device: Any explosive, incendiary, or poison gas bomb, grenade, rocket having a propellant charge of more than four ounces, missile having an explosive or incendiary charge of more than one-quarter ounce, mine, or similar device; any type of weapon by whatever name known which will, or which may be readily converted to, expel a projectile by the action of an explosive or other propellant, the barrel or barrels of which have a bore of more than one-half inch in diameter, except a shotgun or shotgun shell which the Secretary finds is generally recognized as particularly suitable for sporting purposes; and any combination of parts either designed or intended for use in converting any device into a destructive device as defined in subparagraphs and and from which a destructive device may be readily assembled. The term "destructive device" shall not include any device which is neither designed nor redesigned for use as a weapon; any device, although originally designed for use as a weapon, which is redesigned for use as a signaling, pyrotechnic, line throwing, safety, or similar device; surplus ordnance sold, loaned, or given by the Secretary of the Army pursuant to the provisions of section 4684(2), 4685, or 4686 of title 10 of the United States Code; or any other device which the Secretary finds is not likely to be used as a weapon, or is an antique or is a rifle which the owner intends to use solely for sporting purposes. How do I obtain a Title II firearm in Pennsylvania? The above section roughly outlined the requirements to acquire a Title II firearm. Now I will go into more detail regarding the federal and PA state laws that apply. REMEMBER THAT BOTH FEDERAL AND STATE LAWS APPLY. THIS IS A GUIDE FOR PENNSYLVANIA ONLY. IF YOU LIVE IN ANOTHER STATE, IT IS YOUR RESPONSIBILITY TO BE IN COMPLIANCE WITH YOUR STATE LAWS. First, you need to decide whether you want to MAKE a firearm, or have an existing one transferred to you. If you want an SBR or SBS, most people choose to make them. You are (probably) not actually building the gun from scratch, just simply replacing the barrel with a shorter one, or cutting down an existing barrel. You can also make suppressors, destructive devices (although exploding DD’s are illegal in PA), and AOW’s. Unfortunately, you cannot make a machine gun. 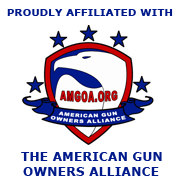 In 1986, the federal government passed the Firearms Owners Protection Act (FOPA) which contained an amendment (the Hughes Amendment) that prohibited citizens from ownership or transfer rights of any machine gun manufactured after May 19th 1986. So if you want to own a machine gun, you must buy one that was manufactured AND registered before that date. These are commonly known as “transferable” machine guns. As you can see, that is NOT a very convenient way to transfer a gun! The total time for these transfers to take place is likely to be more than a year, and you are paying $400 in tax stamps instead of $200. For this reason, it is usually best to either find a firearm that’s already in your home state, or to find one in another state that’s owned by a DEALER, not an individual. However, it might still be worth buying from an individual in another state if you find a really good deal, or if they offer to pay the first tax stamp, and you don’t mind waiting. The Form 1 is to make a Title II firearm; the Form 4 is to transfer an existing Title II firearm; and the Certificate of Compliance is mandatory with all applications, to show that you are a United States Citizen. 1. If you are turning an existing firearm into an SBR, you are the maker of the firearm, which is why your info needs to be engraved on it. However, you are NOT the “Original Manufacture” unless you built the gun from scratch, so don’t put your own name under “Name and Location of Original Manufacture of Firearm.” For that field, go by whatever is stamped on the side of your gun, IE “Colt, Stag, Armalite” etc. 2. There is a section for “Additional Description” of the firearm. If it’s a Form 1, don’t forget that you need to engrave the firearm with your name and city and state. That means you also have to list that info in the “Additional Description” field. 3. List only ONE caliber and ONE barrel length! Many people have had their forms rejected for putting things like “multi” under caliber, and “< 16 inches” for barrel length. Don’t worry, you will still be able to change calibers and barrel lengths on the fly after your firearm is approved, but just fill in the form based on how the firearm will normally be configured. 4. The Form 1 and Form 4 need to be printed DOUBLE SIDED, so that both pages fit on a single piece of paper. 5. Don’t forget to check all of the appropriate boxes on the back side of the form. 6. For your reason to own the firearm, most people write "All lawful purposes," or "collection," or "investment." Use one of those, or a combination thereof, and you wont be denied for the reason. People have been denied for writing things like "zombies" and "chicks dig machine guns" so don't waste you time trying to be clever. 7. Don’t forget to attach your passport photo. 8. Don’t forget to SIGN it! You’d be amazed how many people have had forms rejected because they forgot to sign them. 9. The Form 1 and Form 4 needs to be submitted in DUPLICATE. You need two complete forms, both with passport photos, and both with original signatures. Now you’ve completed your part of the form, and the next step is to get a signature from your chief law enforcement officer. There are several people who are able to sign for you, including your local chief of police, local sheriff, local district attorney, local judge that presides over criminal trials, the PA state police, or the PA attorney general. I would recommend either calling ahead to find out if that person is willing to sign, and if you can’t get an answer over the phone, schedule an appointment. If you absolutely cannot obtain a CLEO signature, you have no choice but to use a trust, corporation, or LLC to obtain the firearm. More on that later. As for fingerprint cards, you can do them yourself or have someone else do them for you. Try asking your local police department for help with this. Your forms can be rejected if the fingerprint cards are done improperly or poorly. Your safest bet is to have them done by the police, who naturally have experience with that kind of thing.Now you need to get everything together to send out to the ATF. 1. ATF Form 1 or 4 in duplicate, and double sided. Please note that if you are buying an existing Title II firearm from a dealer (Form 4), the dealer will help you with all the paperwork, and THEY are the ones that usually send in the form. Form 4’s require a signature from both the transferor and transferee. And now you wait…..and wait….. They know the requirements for depth and height of the engraving to be compliant with the law, and they also do a great job. Note that the engraving can be done before you submit your forms, or while you wait for approval. You do NOT need to engrave an existing registered Title II firearm that you received on a form 4. 1. Some people believe that trusts can be easily proved invalid by the courts, and render your firearms contraband, even after receiving ATF approval. A trust is little more than a stack of papers, and doesn't have an official state or federal government registration number. I have never actually heard of someone being convicted due to an improperly drafted trust, but that's not to say that it's impossible. 1. Rock-solid entity that is officially recognized and registered by the state and federal government. 1. More complicated and expensive to create, in both lawyer fees and state/federal government fees. 2. Requirement to file annual (or perhaps even quarterly) taxes. If the entity never turns a profit, you don't have to pay any taxes, but you still have to file the paperwork regularly. Whichever one you choose, one thing is for sure: GET A LAWYER! And not just any lawyer, but one who specializes in NFA law. The ATF doesn't play games, and it's not worth trying to do this yourself when the consequences could be astronomical. If your entity is found invalid, you could face hundreds of thousands of dollars in fines and 10 years in prison. I recommend staying away from those "one size fits all" internet trusts or quicken trusts that you draft yourself. I personally use a trust to acquire NFA items. I like the convenience of not having to get fingerprints and passport photos every time I apply for a Title II firearm, I like the fact that my wife can be in possession of our Title II firearms when I'm not there (she's a trustee) and I like the fact that my daughter should have no problems inheriting the firearms in the event of our death. The trust was drafted by a knowledgeable lawyer and I'm not concerned with anyone questioning the validity of it. 1. Why do people call them "class 3" or "NFA" items if they are really called "Title II firearms?" Though they are officially known as Title II firearms, you will often hear people refer to them as "class 3" or "NFA" firearms/items. Firearms dealers can choose to pay a yearly $500 tax for a "class 3 tax stamp" which gives them SOT status (Special Occupation Taxpayer) and allows them to transfer Title II firearms with other SOT's tax-free. Therefor, most dealers who regularly deal in title II firearms are simply known as "class 3 dealers." Because of that, some people mistakenly refer to Title II firearms as "class 3" firearms. People also tend to call Title II firearms "NFA firearms" or "NFA items" simply because they are regulated by the National Firearms Act (NFA). 2. Is there a yearly fee for owning Title II firearms? No. It's a one-time fee and there are no recurring costs. 3. Can the ATF randomly search your house whenever they want if you own Title II firearms? No, this is a common myth that has been floating around the internet for ages. You never give up your 4th amendment rights by owning Title II firearms. 4. What if I move, or temporarily take my firearm across state lines? However, this does not apply to silencers. Please note that you need to be in compliance with the laws of whatever state you are transporting the firearm to. 5. Can I carry Title II firearms in PA? Carrying Title II firearms in PA is generally the same as carrying any other firearm. If the barrel length is less than 16" (for rifles or MG's) or 18" (for shotguns); OR the overall length is less than 26", you need a PA license to carry firearms (LTCF) to carry them concealed or in a vehicle. You also need a LTCF to carry ANY firearm during the state of emergency, within 1000' of a school, or in Philadelphia. You can never have a long gun loaded in a vehicle, and that includes machine guns that are of the dimensions of a long gun. There is no law in PA regarding the carrying of silencers. 6. Can I hunt with a silencer in PA? Yes, there is no law prohibiting it. 7. Is there a waiting period to acquire Title II firearms? Not exactly. The ATF approval process usually takes several months, but that is simply because they are overloaded with applications and don't have enough examiners. Theoretically, if the ATF had enough examiners, you could have approval in a couple days. With the current system, expect to wait about 6 months for single transfers, and 12 months for double transfers. 8. Who is allowed to shoot my Title II firearm? As long as a person is not prohibited, anyone can shoot your Title II firearm as long as you are present and can retain control of the firearm. 9. How short can I make my SBR or SBS? As short as you want. But don't cut it so short that the bullet is sticking out of the muzzle when you chamber a round! 10. Where can I find Title II firearms for sale? You might also want to look for a local Class 3 dealer if you prefer a brick-and-mortar shopping experience. 11. Why are transferable machine guns so expensive? The supply of machine guns was frozen in 1986, yet demand has rapidly increased. There are around 200,000 registered machine guns, and that number will never increase without legislative action. Yet the population is rapidly increasing, and because of the internet, more people know there is a legal way to own machine guns. The hugely inflated prices are simply a result of supply and demand. 12. What's a "pre-may dealer sample," or a "post-sample?" While shopping for machine guns, you might find a few that are so cheap that it seems too good to be true. If you look closely, you will probably see the words "pre-may dealer sample" or "post-sample." Unfortunately, these guns cannot be legally purchased by individuals. "Pre-may dealer samples" are typically machine guns that were imported into the country between 1968 and 1986. The Gun Control Act of 1968 (GCA68) banned the importation of machine guns for civilian use, but class 3 dealers were still able to buy them as "dealer samples" for potential sales to law enforcement and military. These guns were NEVER transferable to civilians. A "post-sample" or "postie" is any machine gun that was manufactured after 1986. Once again, these are not transferable to civilians. The ATF now has a system to electronically file certain forms. Unless you are a dealer or manufacture, the only eform that you can use is an eForm 1 (application to make a firearm.) There is NO eForm 4 (tax paid transfer of a firearm). Additionally, you can only use the eForm1 if you are using a trust, corp, or LLC. Individuals cannot use eforms. So if you have a trust, corp, or LLC, and you want to make an SBR, SBS, AOW, silencer, or destructive device, consider using the eform system. The advantage is that you don't have to mail any paper forms, and typically the process will go MUCH faster. Instead of a 6 month wait, your form should get approved in a little over a month. The disadvantage is, IF you have a mistake on your form, it will get rejected with no chance to correct it. Your $200 will eventually be refunded, but you will have to submit a whole new application with the correction and resend the $200. Once you have an account, log into it and you should easily be able to start a form 1 application. Simply follow the prompts and enter in all the information just as you would a paper form 1. Towards the end of the form you will be prompted to upload your corporation or trust documents. You need to scan your entire trust into a PDF and upload it here. However, since the ATF is not exactly known to be the best web developers, they put a 3MB limit on the file size which is probably much less than a 40 page trust. My trust was over 42MB and could not be uploaded. I had to lower the resolution of the PDF and split it into 4 separate files. You can upload up to 10 files that are 3MB each, so this worked. Then you will be prompted to pay the $200 stamp which can be done with a credit card. Once that's done, you electronically sign the form by entering your password, and hit submit. Now, if all goes as planned, you should only have to wait 1-2 months. bac0nfat;144219 Wrote: I wanted to add some info about eforms since there has been some chatter about it. I'm making this a separate post since this is a new issue, it's essentially an experimental system, and we don't yet know exactly how the system is going to be permanently implemented. In 2013 the ATF implemented a system to submit NFA forms electronically. Long story short, the system got overloaded and was plagued with problems. The ATF decided to take the system offline and it is still down as of this post. There is no indication of if/when the system will be back up. For this reason, it is best advised to continue using paper forms until further notice. I will post more updates as information becomes available. Didn't you write this a long time ago. I swear I remember reading this..
Its a lot to keep track of. Right now nobody can do forms 1 or 4 with the eforms system. That was their way of reducing volume because the system was dragging. Supposedly they are going to fix it up and allow access to those forms again but there are no dates. This is a good resource which I've used and have pointed other people to as well. AR15.com also has good info but the massive scale can be confusing. In a perfect society, Title II weapons should be just as easy to acquire as a .22 bolt action rifle. Updated with some info on eforms.